Bradford on Avon self catering cottage accommodation -Seven luxurious and spacious self catering cottages set in the beautiful Wiltshire Countryside on the edge of an area of outstanding natural beauty but only 5 miles from the world heritage city of Bath and 1 mile from the Saxon town of Bradford on Avon. The self catering cottages available for your stay have been converted from an old Tythe Barn which has had many purposes in the past including stables, cider production as the orchard at the front of the cottages was a cider apple orchard. 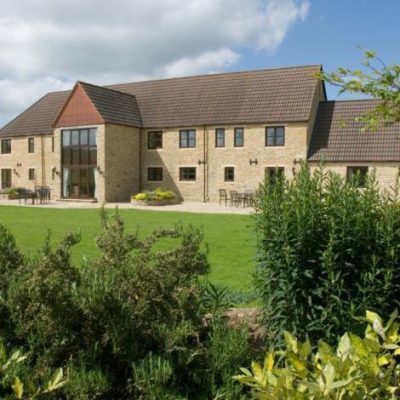 Cumberwell Country Cottages near Bradford On Avon and Bath offer many features which will make your stay that extra bit more comfortable and have flexibility to accommodate our guests at various times of the week. You can sample country life, town life and city life all from your stay at Cumberwell Country Cottages. If you’re looking for a quiet retreat in the countryside yet within easy reach of Bath, Bradford on Avon, Longleat and numerous other attarctions then Cumberwell Country Cottages could be perfect for you. Cumberwell Country Cottages has 7 luxury 1 or 2 bedroom self catering cottages accommodating up to 4 people. 6 Miles – The Roman World Heritage City Boasts Some Of The Finest Architecture In The World And Is Famous For A Number Of Landmarks Including The Roman Baths, The Abbey And The Royal Crescent. Britain’s Only Natural Spa Offers A Fantastic Natural Hot Spa Complex Featuring Rooftop Pool With Panoramic City Views And A Range Of Health Treatments And Massage. An Ideal Way To Spend A Relaxing Morning Or Afternoon. Castle Combe Has Been Called ‘The Prettiest Village In England’ And Has Played Host To Many Filming Activities. There Is Also A Nearby Racetrack With Various Events, Karting And Race Driving School. Day Courses Available. The Abbey Located In The 13th Century Village Of Lacock, Protected By The National Trust. One Of Britain’s Most Beautiful Villages And Home Of The Fox-Talbot Museum Of Photography. Another Of Wiltshires Famed Filming Locations. Bowood House And Gardens Date Back To The 18th Century And Is One Of Capability Browns Finest Parks. For The Children There’s A Large Adventure Playground Famous For Its 19ft Vertical Drop ‘Death Slide’! Approximately 13 Miles Away – A Superb Day Out For All The Family With The Wildlife Safari Park, Adventure Playground, Elizabethan Mansion Of The Marquis Of Bath With House Tours, House Exhibitions And Formal Gardens. Carved In Chalk Downs – Stunning Views. The Wind Ensures This Is Always A Great Place To Fly A Kite, And At Weekends The Sky Is Often Full Of Hang Gliders And Paragliders. Wiltshire Also Has 7 Other White Horses! The National Trust’s Dyrham Park, Near Bristol And Bath, Is A Spectacular Late 17th-Century Mansion, Garden And Deer Park.